Sure, you could just use a sharpened stick, or even just your bare hands in a fight, but that's not really going to be very effective. Instead, why not bring in the big guns, like a C3 Plasma Bombard or one of the new weapons available for the Algoryn? Probably be much more effective. 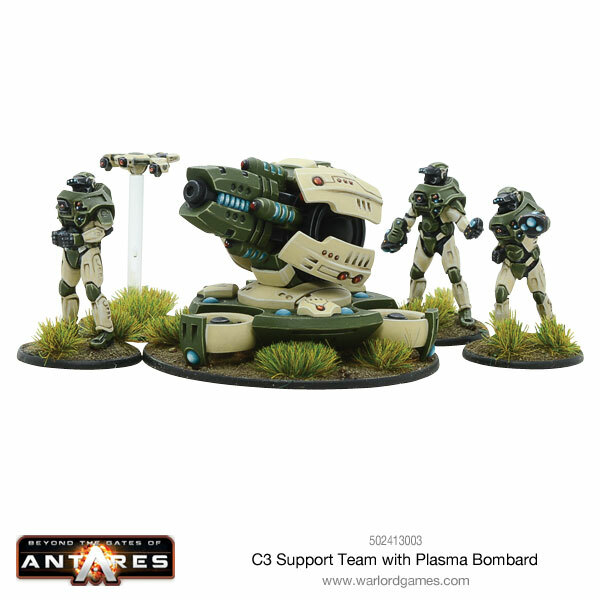 The Concord release a merciless barrage upon their foes with the new C3 Plasma Bombard! The plasma bombard is the largest and most powerful mobile plasma weapon and uses multiple-coils to generate an extraordinary potent pulse of energy. It is used by heavy support units in most Antarean forces and often carried by heavy combat drones and other heavy vehicles. Equip your Liberator with new compression and mag technology! You’ll be able to create a unit that can counter any threat! 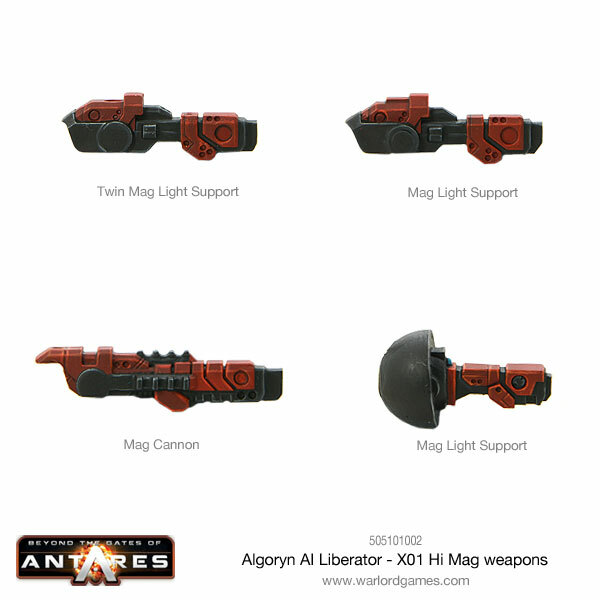 These metal weapons are perfect for upgrading your Liberator, mounting on your own conversions or battlefield emplacements… what will you build for Antares?